There is something magical about short fiction; the stories, instead of being self contained, seem like just glimpses into other universes, short windows into another wold, transporting you, somehow capturing all of your self in just a few pages. And somehow, the stories linger, still in the back of you mind days, months after you have finished reading it. 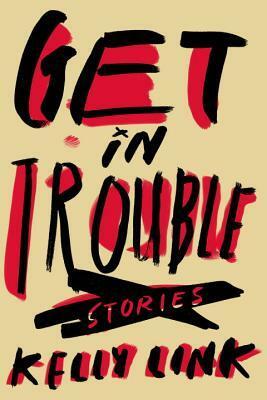 Get in Trouble may however be my favorite collection I have read to date, with the stories still vivid in my mind, unforgettable gems of fiction. Each of the stories draws you in immediately. I would describe them as being set in the here and now, but shifted a few universes over. The rules of their world are the same, but not quite. By the time you’ve picked up one what those rules are, on where you are and what is happening, you are already entranced. You quickly fall in love with them, with the people you meet there: you want to know more. Many of the stories are quite short to read, and leave you wanting to know what happens next, forever imprinted on your mind. Switching from one story to another was a process, one which made me have to put down the book and revel on what I had just finished, before actually moving on. While the style of the author is immediately recognizable, the stories show off her versatility. Different perspectives, different genres, one of the stories even a letter, Link manages to keep you reading not only with her remarkable plots, but also by the diversity of styles. Admittedly, some stories are better than others, but what is great about Get in Trouble is that there’s a little bit of something for everyone. Fans of Neil Gaiman will absolutely love her stories; I would honestly love to see what the two of them could write together. If you’re looking for something you can read and know you will enjoy, pick up this book. It’s a great, fun read; one of those books that makes you feel that reading is magical, all over again. “Shifted a few universes over” is a great way to describe Link’s writing. Such a cool book. And I also thought of the Gaiman connection. Love these types of stories!